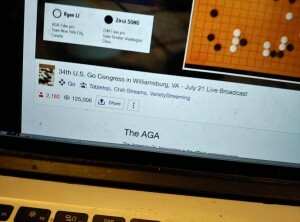 The E-Journal’s US Go Congress broadcast coverage is achieving unprecedented audience levels this year, thanks to Twitch.tv, which hosted their first official “Twitch Plays Go” event three months ago. 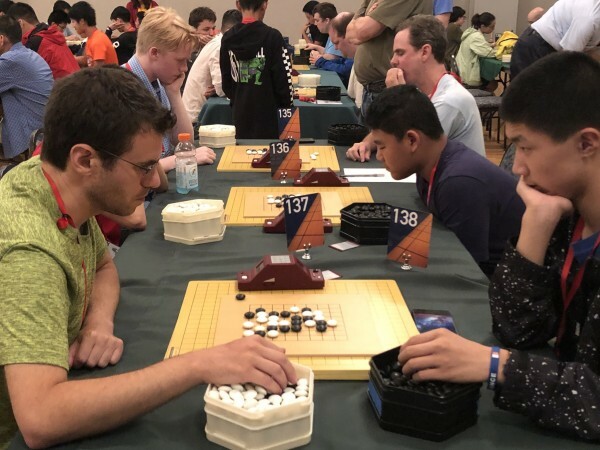 All Go Congress broadcasts this week are being featured on the Twitch front page, and Saturday’s Pandanet City League final stream saw a total of more than 2,000 viewers, who witnessed an exciting 300+ move battle with a half-point finish. 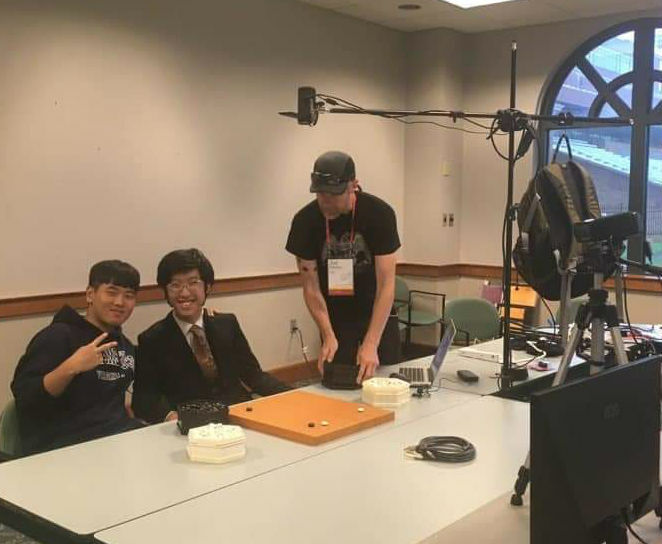 The EJ broadcast crew includes Stephen Hu, Nathan Epstein and Joel Cahalan, along with commentators (see below). 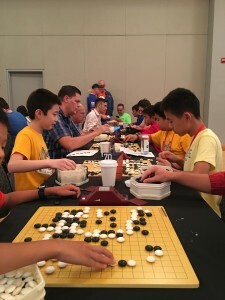 - Interview with Nate Eagle, US Go Congress co-director. 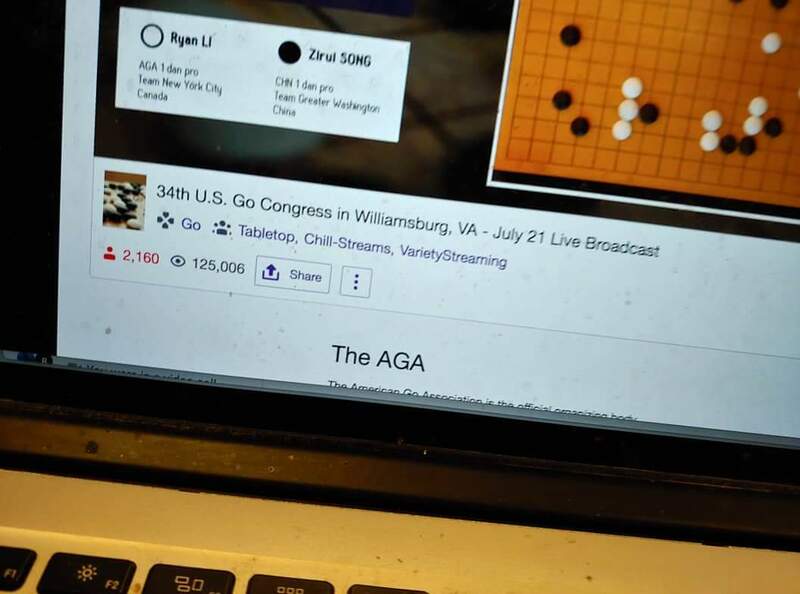 More Congress coverage than ever: Whether you’re on-site at the Congress or keeping track from home, we have lots of ways to enjoy the Congress virtually, from reports on our Facebook page and Twitter stream to the free Congress mobile app, which has a very active social stream on which anyone can post and which features lots of on-the-spot posts by the EJ’s roving reporters and photographers. 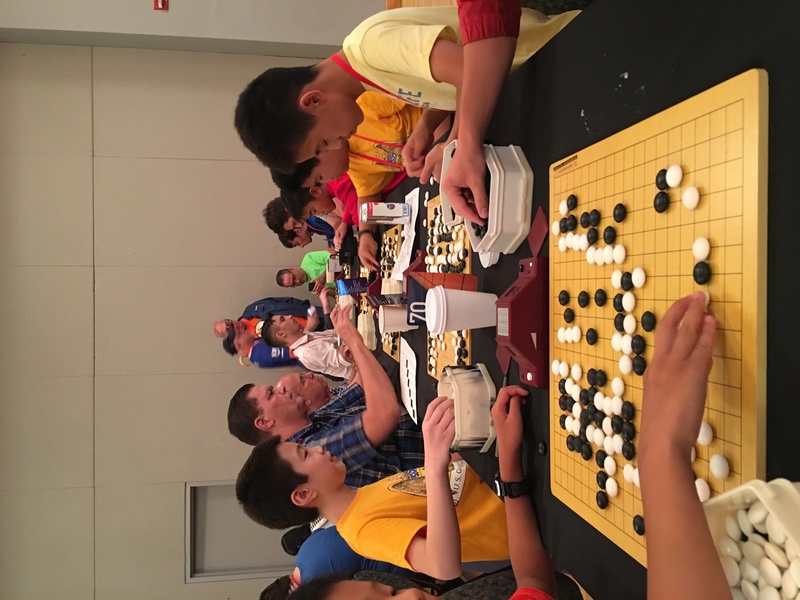 You can watch live streams of the top boards on Twitch or YouTube and there’s also live pro commentary on KGS. 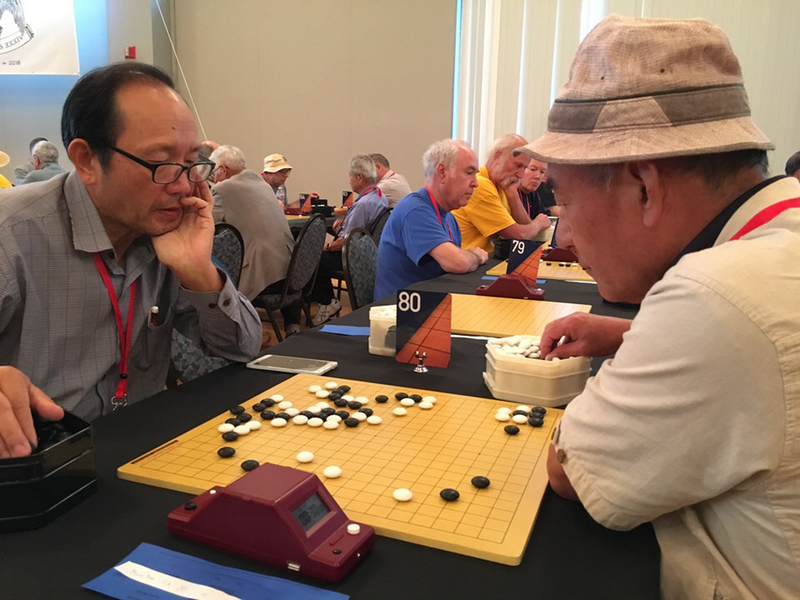 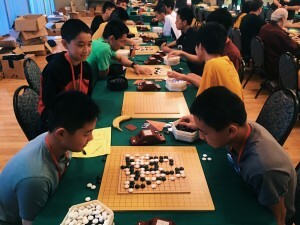 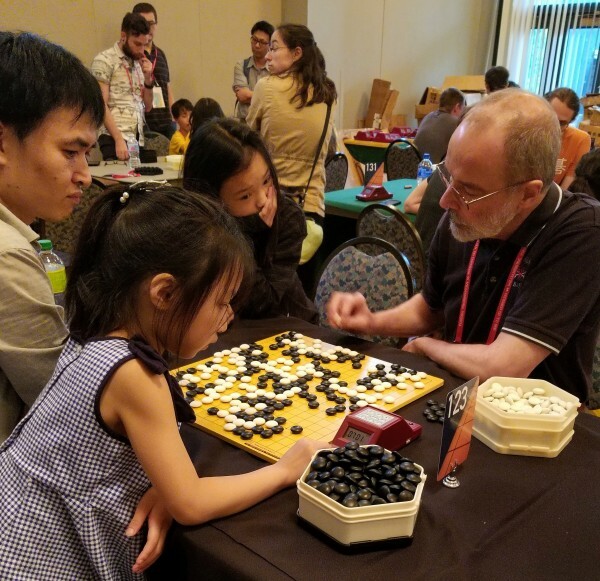 The evening unrated tournament series at the U.S. Go Congress kicked off Saturday night with the 9×9 tournament, directed by Pete Schumer, who just returned from Maeda’s summer go camp in Japan. 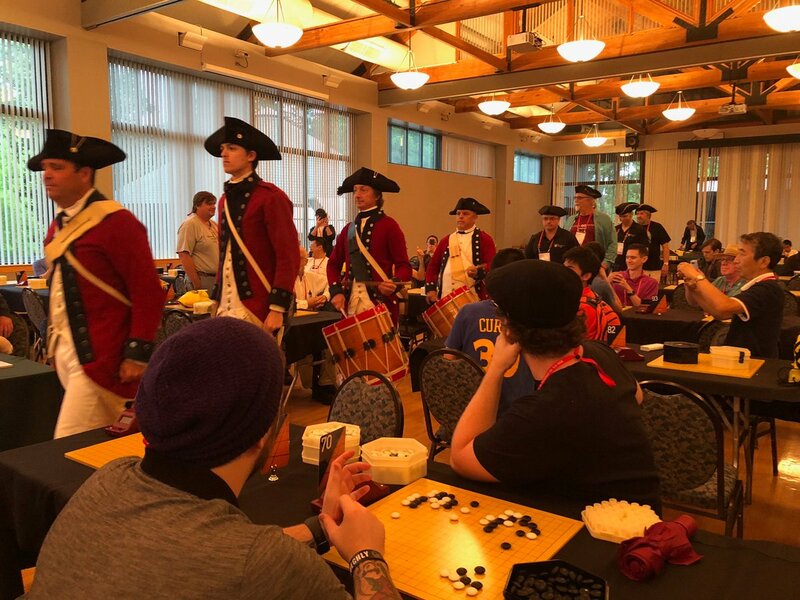 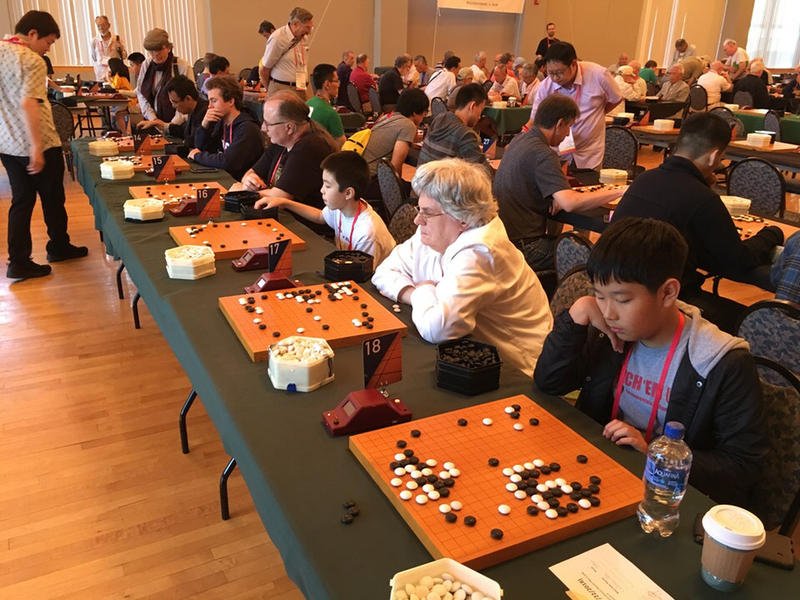 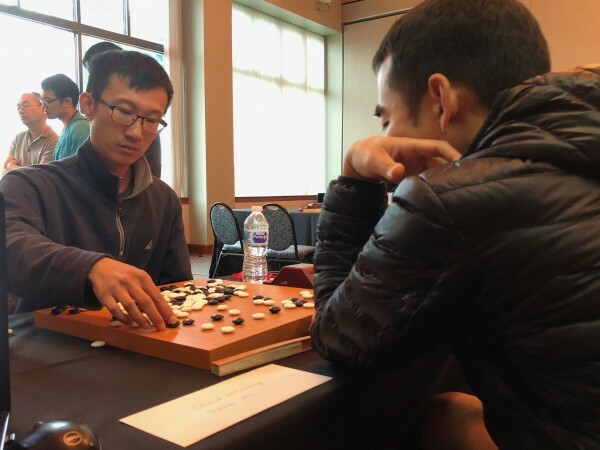 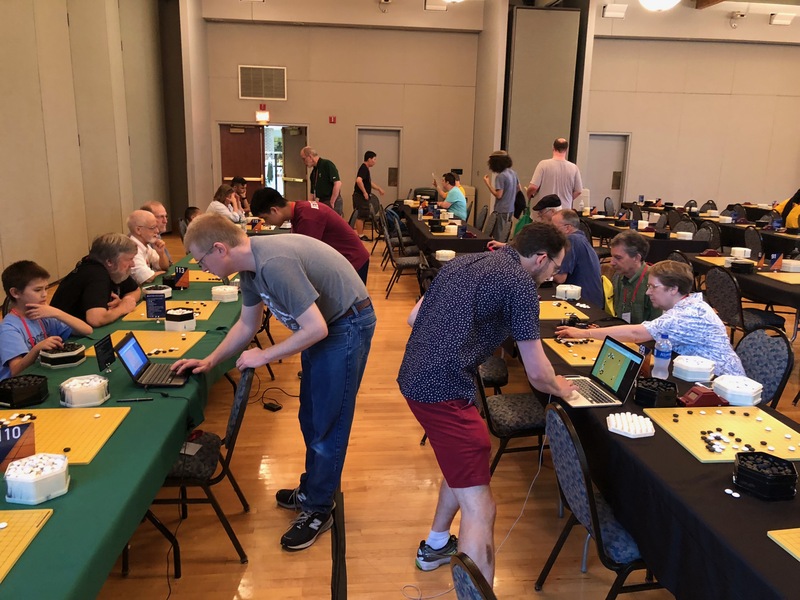 Fifty three players, with ranks ranging all the way from 30 kyu to 7 dan, were split into tables of six to play a round robin of five games to determine a winner for each table to move on to the playoff rounds. 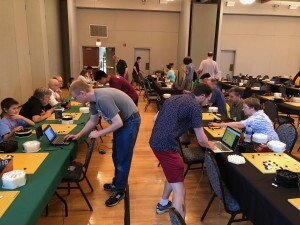 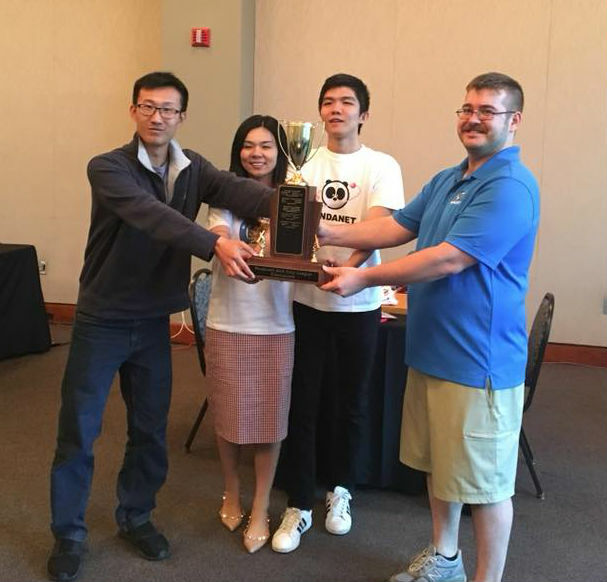 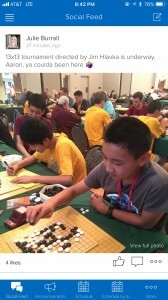 9×9 games are generally pretty short, but with just an hour to complete the tournament (the building was closing at 10pm), the time limit on the games was just 6 minutes for each player, with no overtime. 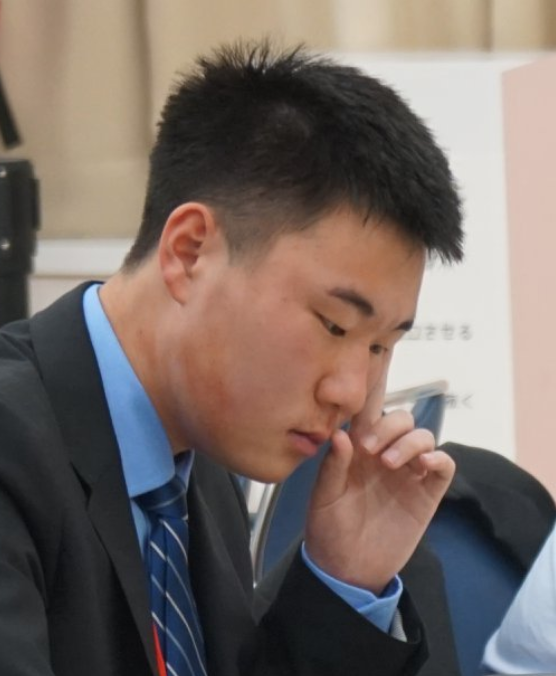 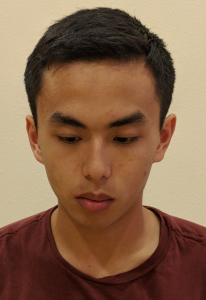 Moving on to the playoffs will be: Aaron Ye 7d, Do Khanh Bing 5d, Nick Sibicky 4d, Vo Minh Duy 4d, Jake Game 1d, Terry Wong 2 k, Eli Fenster 5k, John Christensen 13k, and Bethany Nyborg 18k. Stay tuned for updates on playoff results.